iMessage Waiting for Activation error message has the natural property to piss you off at the extreme levels. It usually goes through the activation process at ease without causing much trouble, but when the activation can’t happen the error message shall simply freak you out. 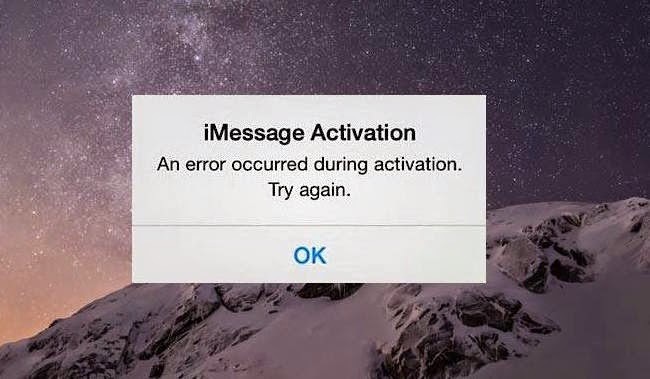 The activation error has happened to a lot of people and that’s what made us finding out what’s wrong with the iMessage app. The solutions posted below are working fine with all iDevices. The iMessage waiting for Activation error will be fixed on your iPhone 7 Plus, 8, X, 7, 6S, SE, 6 Plus, 6, 5, 5C, 5S, 4S, 4 and all iPad models that are running iOS 10, 11, 11.2, 11.1. 11.2.1, iOS 11.2.5 or iOS 11.3. However, further investigation brought up few silly issues. For example, people often misadjust their phone’s date and time settings. Say, for example, the phone is set to a different time zone and the time is taken as a mismatch to the internet server and the iMessage app refuses to connect. Not having the own phone number listed in the Phone app is another common mistake that people do. ‘My Number’ is the place where every iPhone user is supposed to enlist their number. This is a mandatory requirement for the iMessage app activation to take place. And another less common issue; Wi-Fi networks might block iMessage app due to some restrictions or faulty settings. iMessage won’t take up a huge amount of data on your cellular network so better have it turned on. If these are not the issues, then the possible issues could be as following. Ask your carrier if there’s any iMessage / Facetime block currently being implied on their data network. In some regions and countries, iMessage has been filtered away for safety or financial reasons. iMessage is hard to track by the cellphone operators and so they are often kept disable for security concerns. 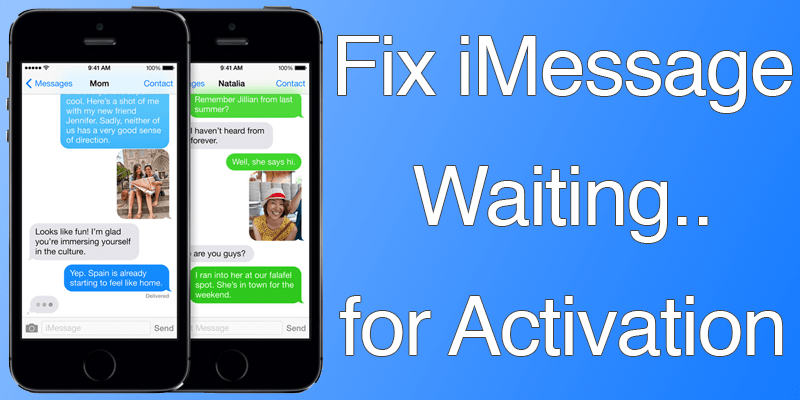 If this method not fixed the iMessage Waiting for Activation error, move to the next method. The new iOS might have some issues with the airplane mode option. Putting the phone into the airplane mode and then turning the mode off makes iMessage works; for some reason. To try this method, head into your iPhone’s settings, then turn off iMessage first. 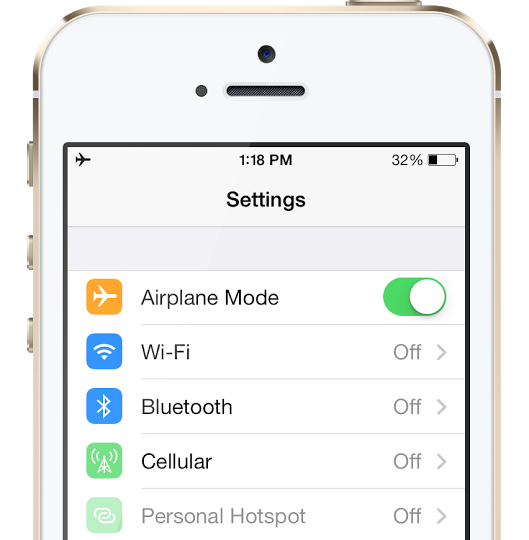 Then, turn on Airplane mode which results in turning off all radio devices. Then turn off Airplane Mode and turn on Wi-Fi again, followed by turning on iMessage. This somehow works at times, for some devices. Maybe worth a try! If your iMessage was signed in with your Apple ID before and it has suddenly stopped working, then this method could come handy. First, sign out of your Apple ID by scrolling down to ‘Send & Receive’. After you are done with this step, turn off iMessage from settings. Then go the opposite way, turn on iMessage and log in with your Apple ID. 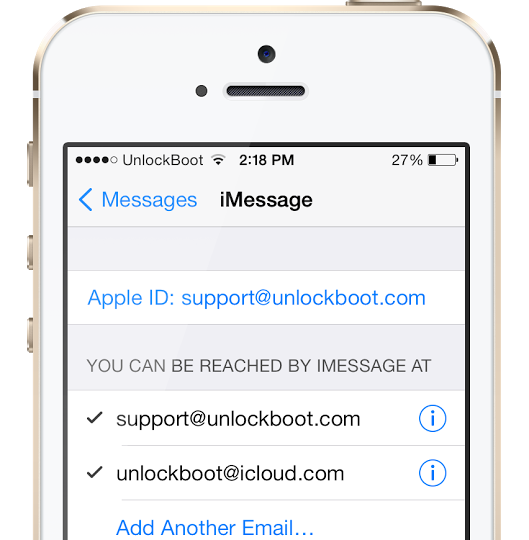 This should fix iMessage waiting for activation error and you may regain access to iMessage, as well as successful iMessage activation. Another possible solution to resolve iMessage problems on your iPhone and iPad is to check if the Date & Time are correct. We recommend you to activate the Set Automatically option. 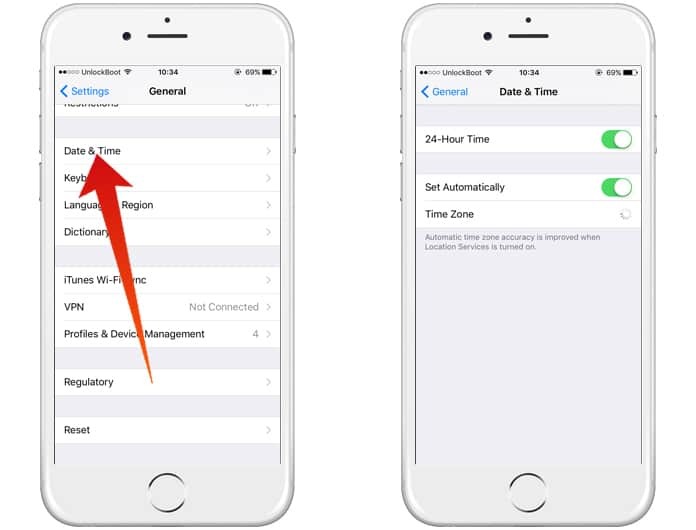 Your iPhone or iPad will automatically detect the time zone and the time will be corrected. After that, you can try activation iMessage service again. 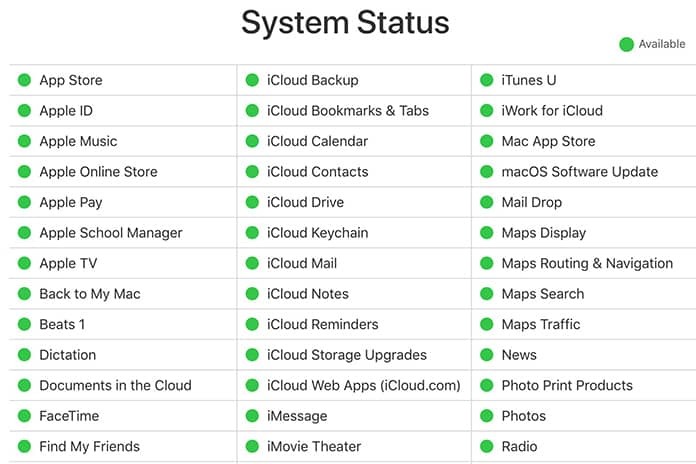 If the iMessage server is down, you need to wait for few minutes or hours and then refresh the page. When you see that the iMessage server is up, try again to enable iMessage on your device. If nothing mentioned works out, you may try factory restoring your device. There could be third party apps interfering with the settings of iMessage, or some other issue that requires a clean wipe of your iPhone. Restore the device to factory settings and start from the scratch. This appears to be a fruitful solution to resolve iMessage waiting for activation issue. Update #1: The possible reason for FaceTime or iMessage waiting for activation error can be a bad internet connection. Make sure you have a good internet connection and try to activate iMessage again. Another thing you should try is to clear iMessage cache on your iPhone or iPad. Summary: If the other ones don’t work, at least the last solution should help you to fix iMessage waiting for activation error on iPhone or iPad running iOS 11.3, 11.2.5, 11.2.1, 11.2, 11.1, 11.0 or iOS 10 firmware. In case the problem is still not resolved, you should drop your phone in an Apple service center.